You don’t need to head to a fancy (expensive) security company to make sure your home is secure. Sometimes, the simplest answer is the best — and when it comes to securing your home, the foundation of any strong security measure should start with sturdy, well-installed locks. Here at Pro-Lock & Safe, we offer a range of locksmith services designed to help you keep your Delmar home or business secure. From deadbolt lock installation to commercial access control systems with CCTV, we can customize our options for your needs. Call today to schedule service in Delmar and the surrounding areas! This isn’t a full list of all we can do. If it involves a lock and key, odds are good we can help — so give us a call today! When you are locked out and you need to find a locksmith in Delmar, look no further than the crew at Pro-Lock and Safe. We have over three decades of industry experience under our belts and in that time we have seen it all. As you can imagine, lock technology changes from time to time, but we take pride in staying up to date with the latest. As a matter of fact, we’re always seeking to improve our base of knowledge and gain more insight so we can serve our customers in the best way possible. Regardless of what situation you find yourself in, you can count on our team to be there for you when you need help the most. That means that whether you locked your keys in the car and you can’t get in or you misplaced the key for your home or business, we’ll come your way to get you back in and back to your day. In short, if you’re in need of a locksmith in Delmar, we’ll be there for you. When you call, we’ll provide you with a timeline for our arrival as well as a free quote on what the work is likely to cost so you know exactly what to expect. 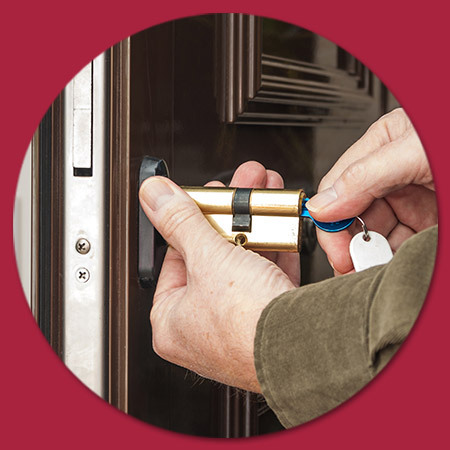 At Pro-Lock and Safe, we are licensed, bonded, and insured to do the work you need done so you can get back into your home or vehicle and get back to your day. No one plans to have an emergency, but when it happens to you, you can put your trust in the team at Pro-Lock and Safe to take great care of you. It’s as simple as that. If you’re in need of a good locksmith near you, give us a call today!